Wow! 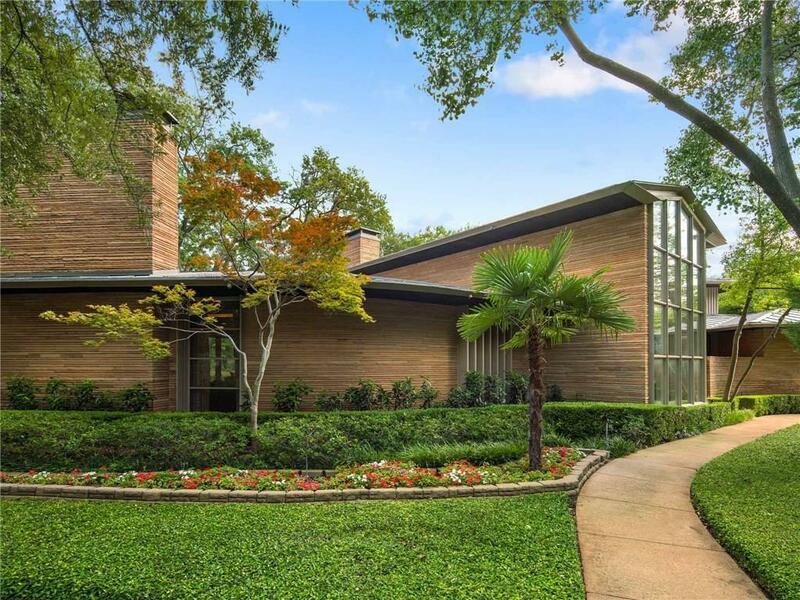 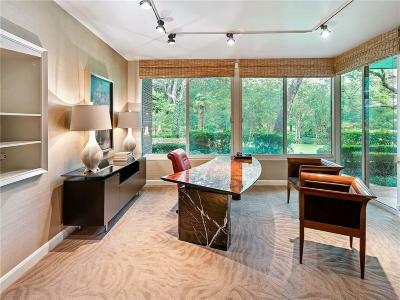 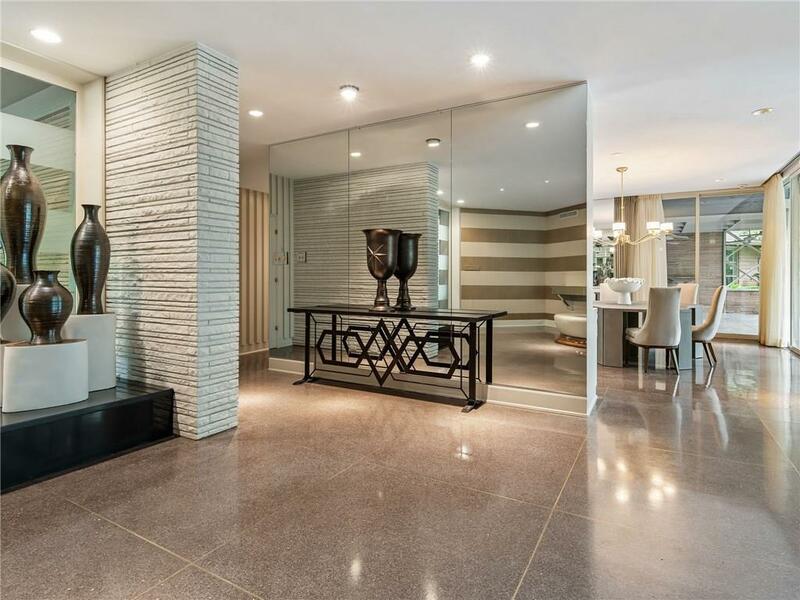 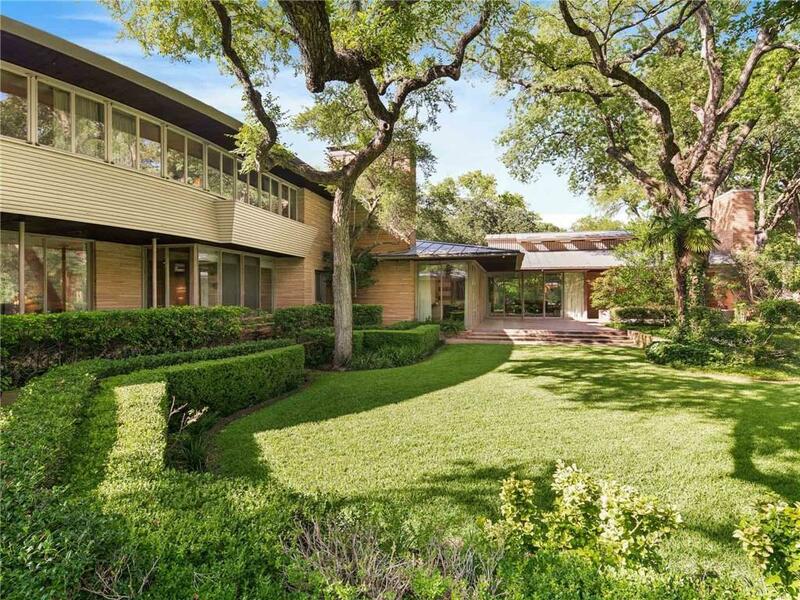 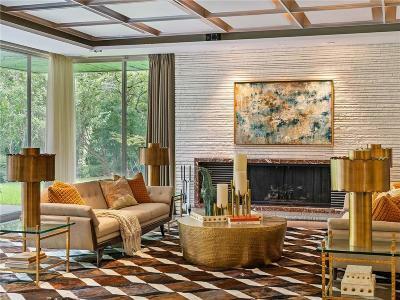 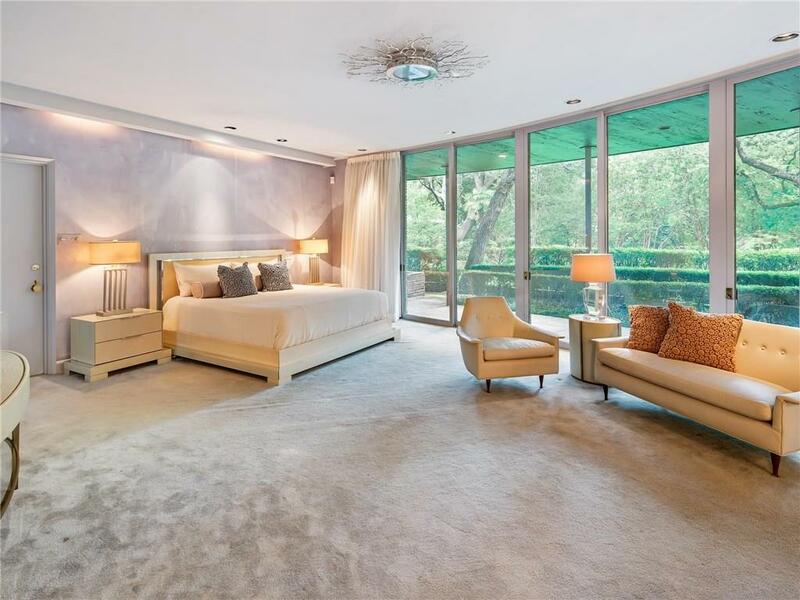 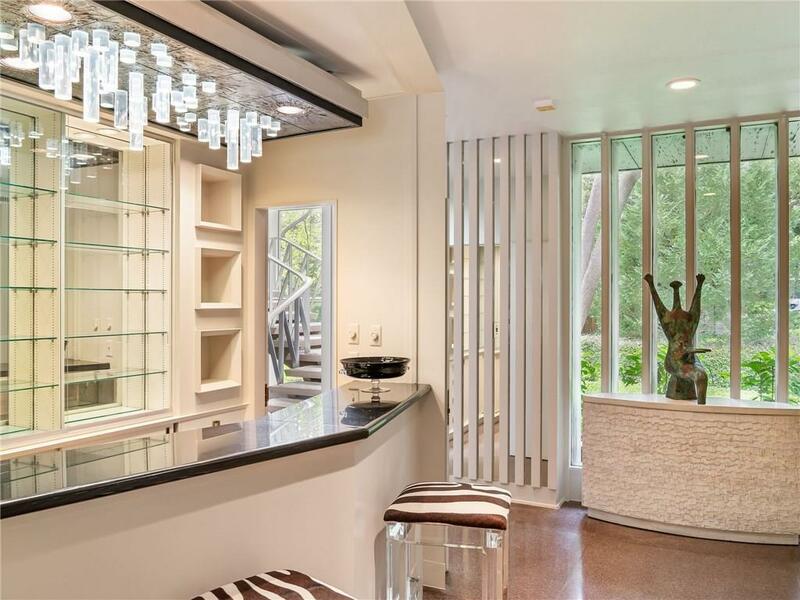 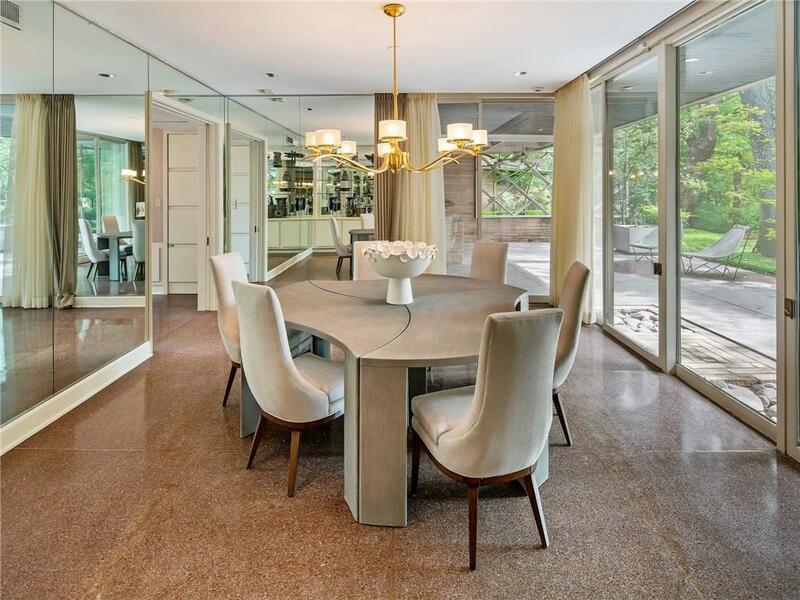 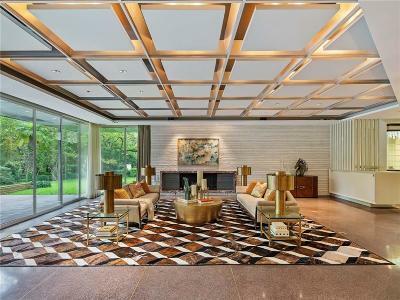 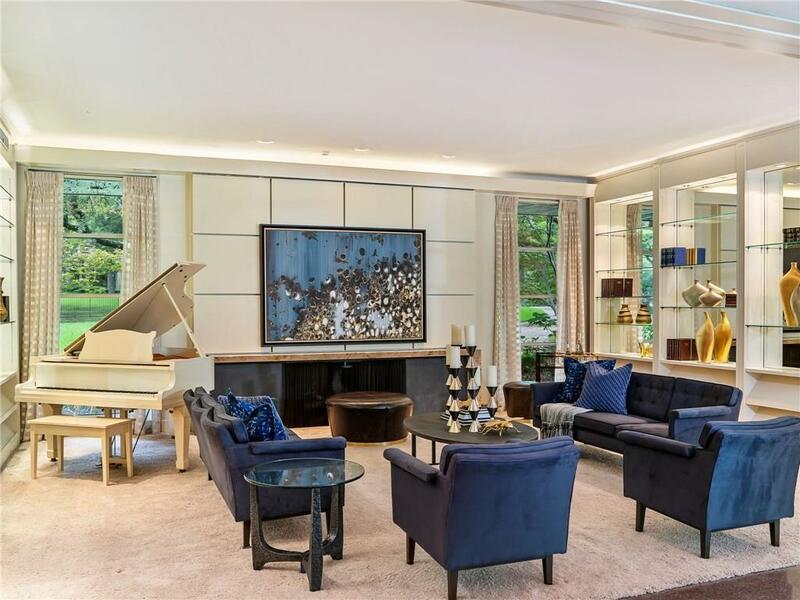 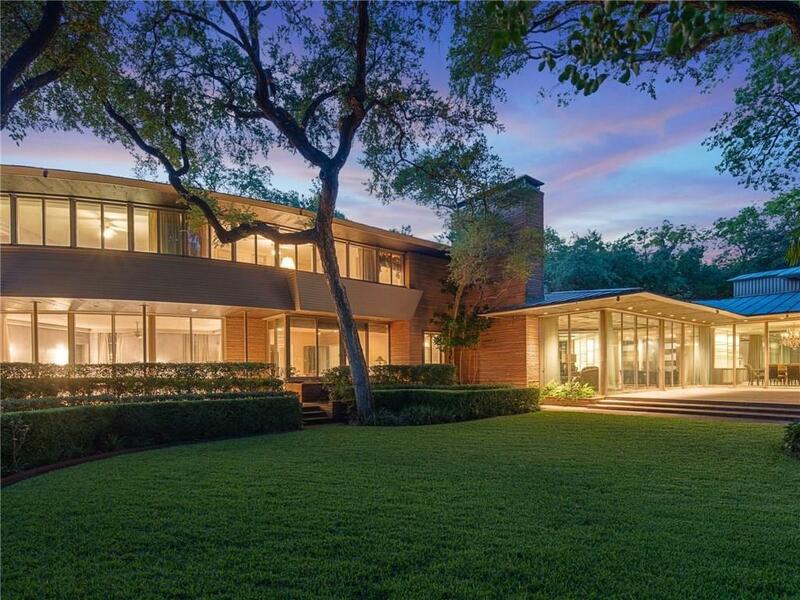 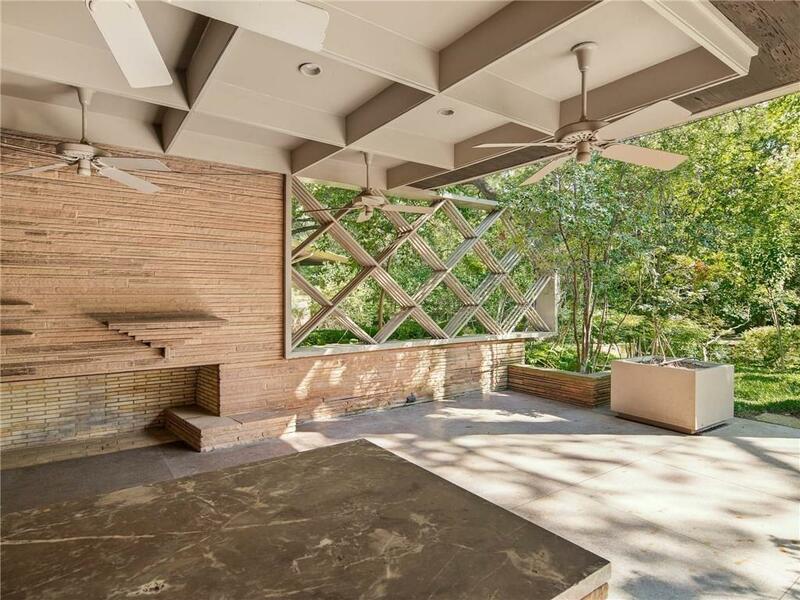 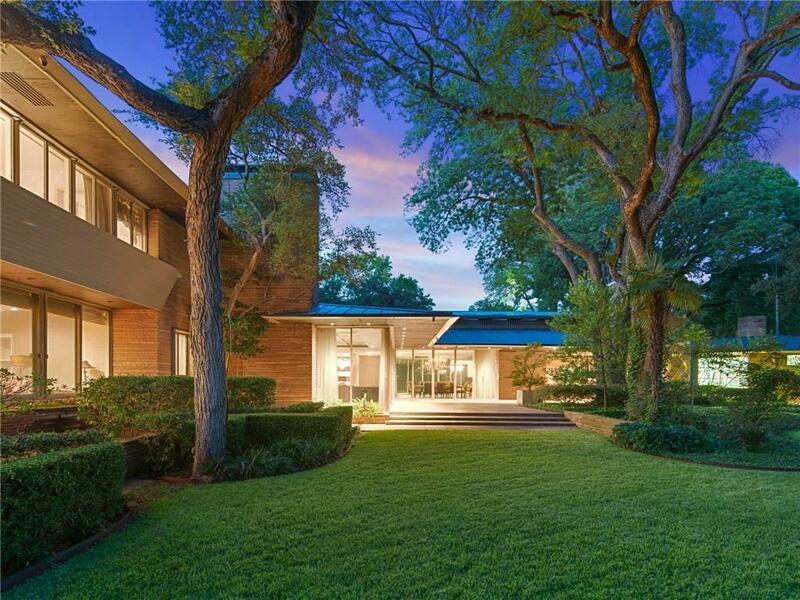 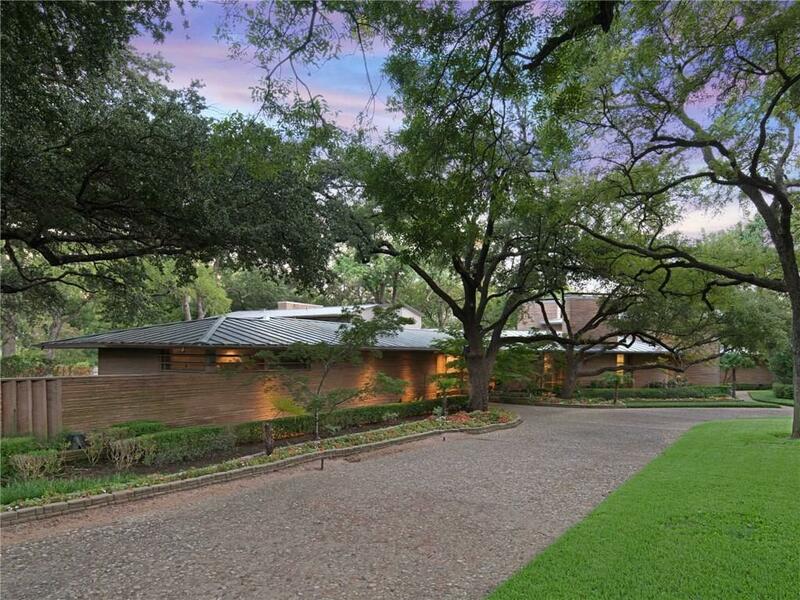 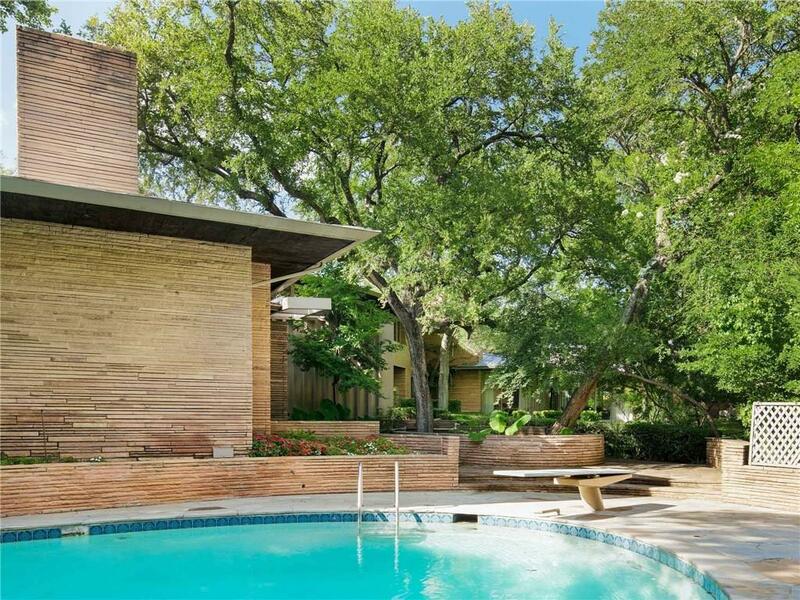 Spectacular midcentury modern home is located on one of Preston Hollowâs most premier streets. 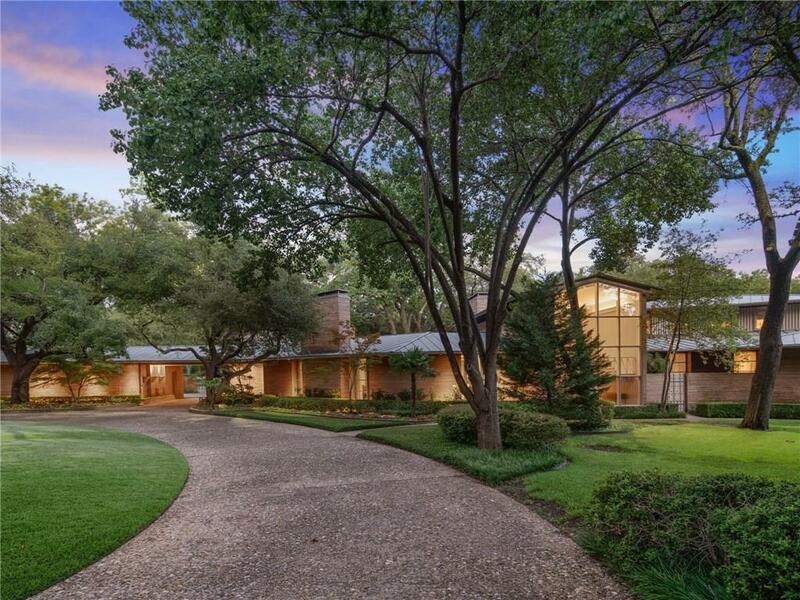 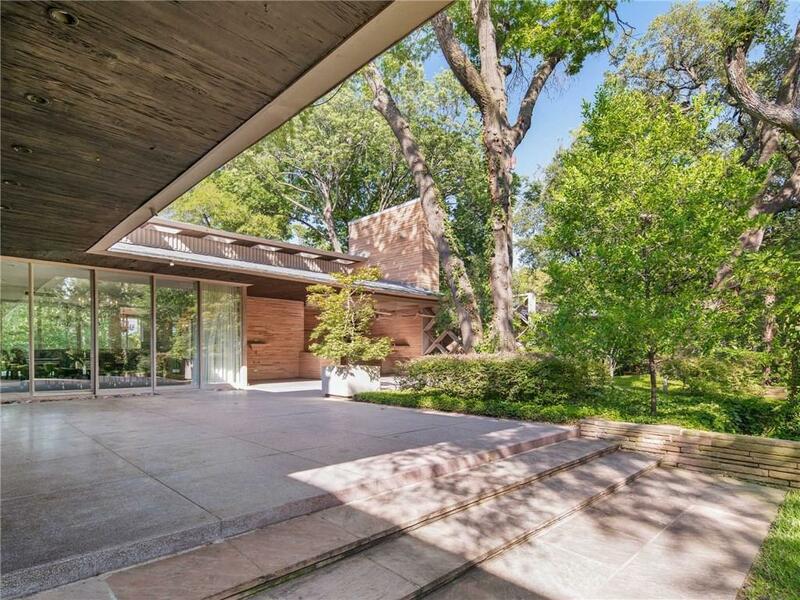 This 1951 Robert Goodwin designed estate was perfectly placed alongside a beautiful creek. The unique formal living, dining, vintage bar and large den have been meticulously designed for grand entertaining and intimate occasions with incredible views of the lush landscaping, trees and serene pond. 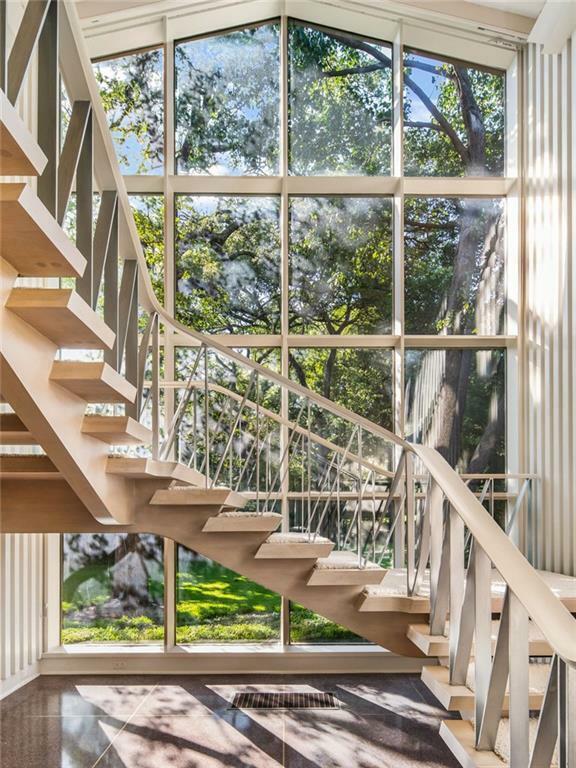 Dramatic walls of windows and doors connect the inside and outside seamlessly. Original luxurious finishes and details are incorporated throughout the home including terrazzo floors with brass inlay, super cool coffered ceilings, pecky cypress soffits, Roman brick exterior.